Tim Garrity is a Broker, Realtor, and Consultant with a strong business and personal network in the Greater Philadelphia area. He consistently delivers on his clients’ expectations by utilizing his extensive real estate knowledge, local market expertise, negotiating skills, and confidence. With years of experience in the mortgage, real estate, and residential new-construction industries, his business strategy is to help every client achieve their goals by providing a high level of customer service through his extensive real estate knowledge of Philadelphia and its suburbs. Tim holds both BS and MBA degrees from La Salle University’s School of Business. Tim began his career in real estate with small, local, boutique firms in order to gain as much knowledge and experience as possible to grow his local real estate business. 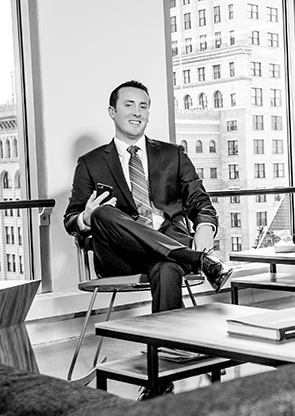 Within 5 years of becoming a licensed real estate agent, Tim Garrity earned a PA Broker license and became a co-founder and owner at Copper Hill Real Estate, headquartered in Center City Philadelphia. He grew up in the suburbs of Philadelphia, but has lived in the city since 1997 and currently resides in Roxborough. Tim’s knowledge of Philadelphia expands throughout the city and suburbs, with a focus on Northwest Philadelphia and Center City Philadelphia. Tim Garrity believes in building professional, personal, and long-term relationships in order to strengthen his network and help all of his clients achieve their real estate goals.